Appearance: With pink, gold and grey nuances, and dramatic white veins across the surface, this limestone is an elegant, unique and striking material. Strong of its heritage of popularity with a rich history in architecture and arts, this playful and elegant limestone brings a spin to any project, highlighting the true versatility of marble. 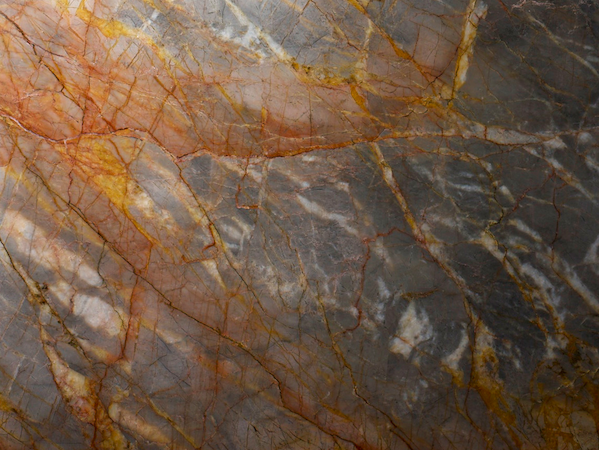 Properties: Like most natural stone, colour variations and movement occur and are part of the beauty of this material. It is recommended to seal it to extend its longevity and maintain its beauty. A technical data sheet (EN standards) is available upon request. Use: Breccia Elisea is suitable for internal use only, including flooring, wall covering and bespoke stonework, such as vanity tops and all surfaces, excluding kitchen worktops, within both domestic and public environments with moderate pedestrian traffic.